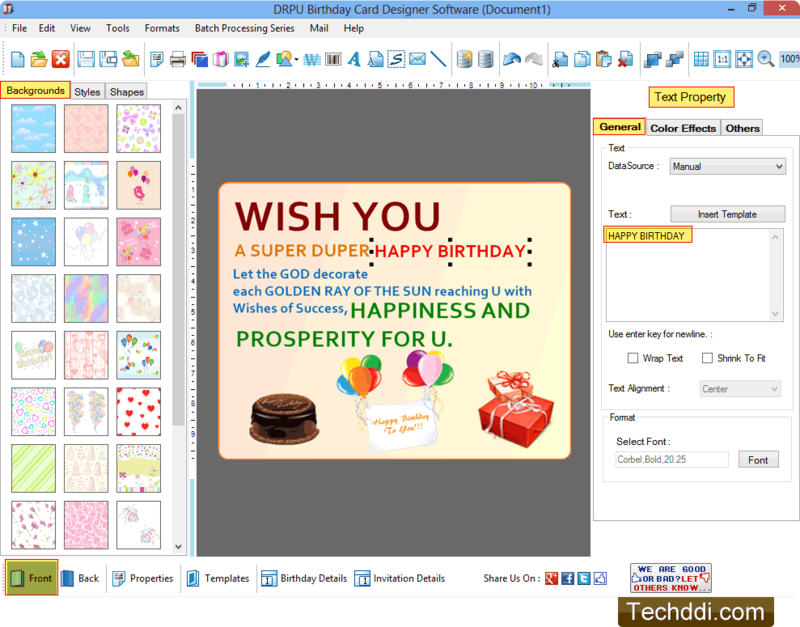 Choose any one option from Design Birthday Invitation or Design Birthday Greeting. Enter Label Name, Size, choose Label Shape and specify the type of fold. Click 'Finish' button to continue. 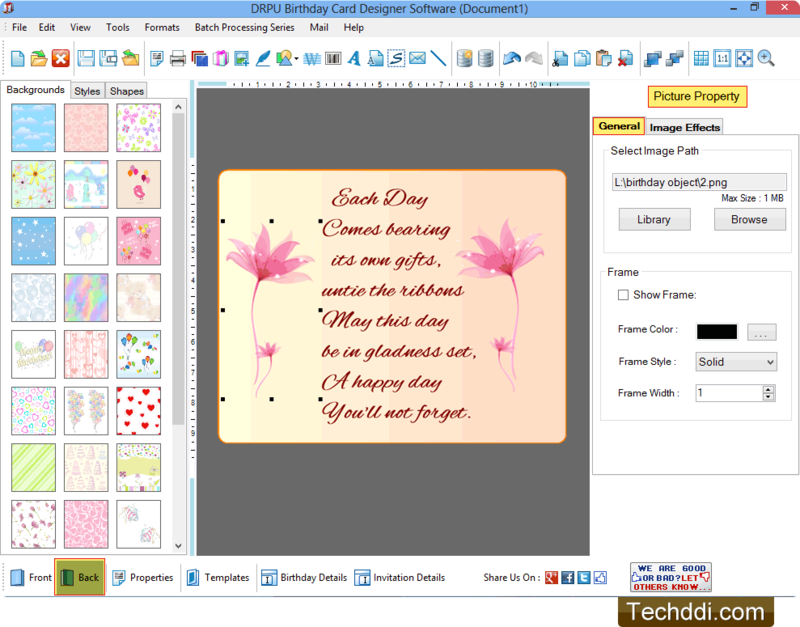 Design happy birthday card according to your choice. 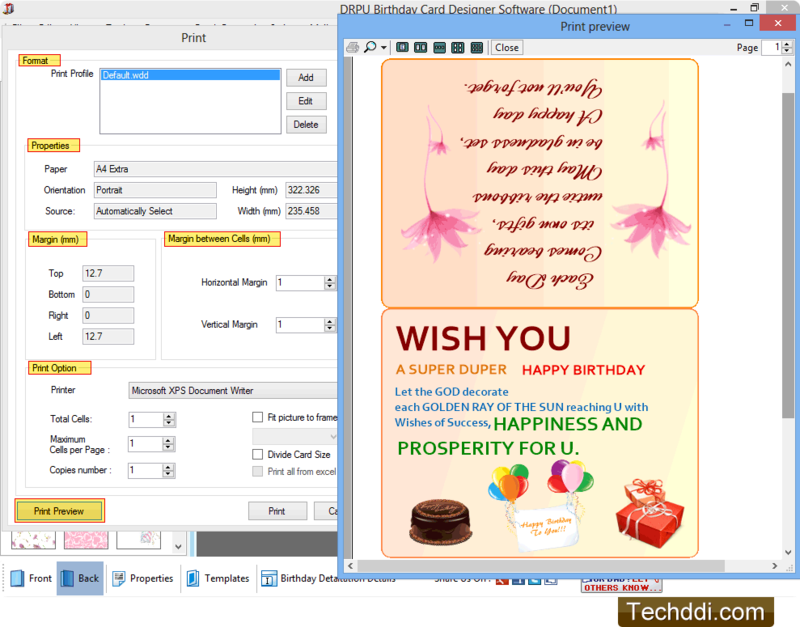 Add text on b'day card and adjust various text properties including color and other settings of text. Add images regarding birthday on card. 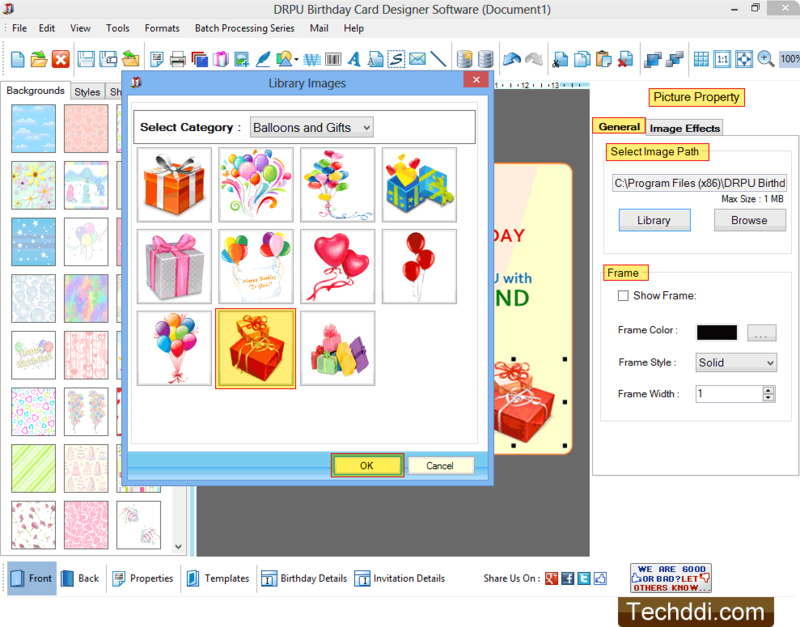 Software provides various birthday images and symbols to add on card. You can also browse path of image saved on your computer. 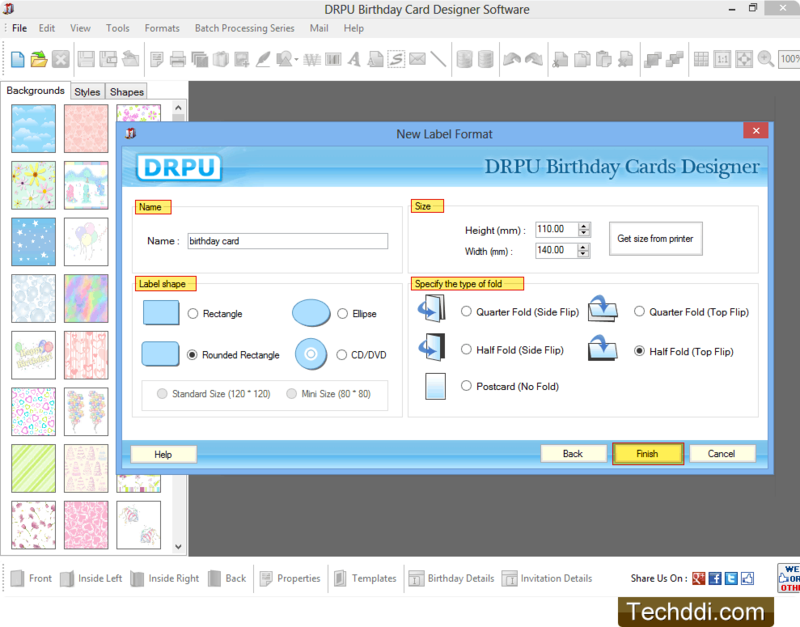 Add picture on card and adjust picture properties according to your requirement. 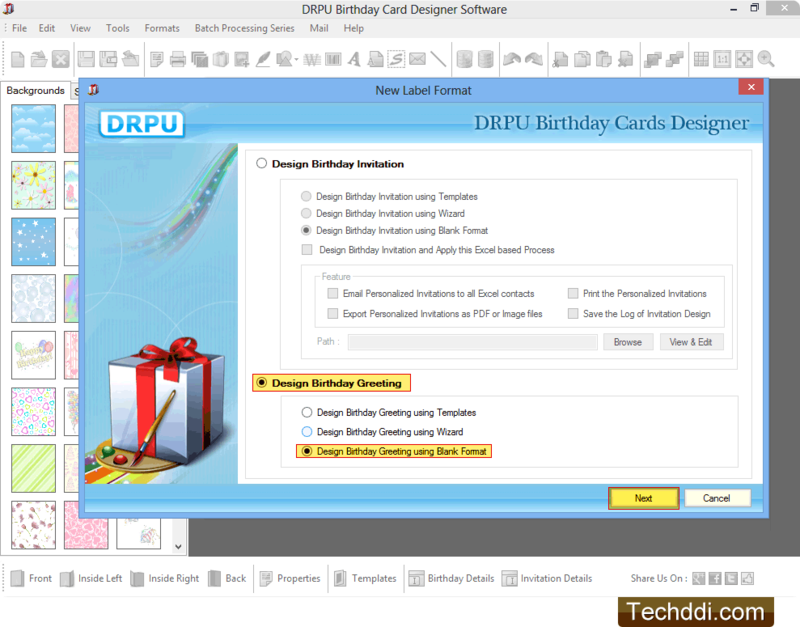 To print designed birthday card adjust print settings and click on Print button. You can also see the print preview by clicking on Print Preview button.